Buy online our clothing and fashion fabric Geometrico Coupè —-01. 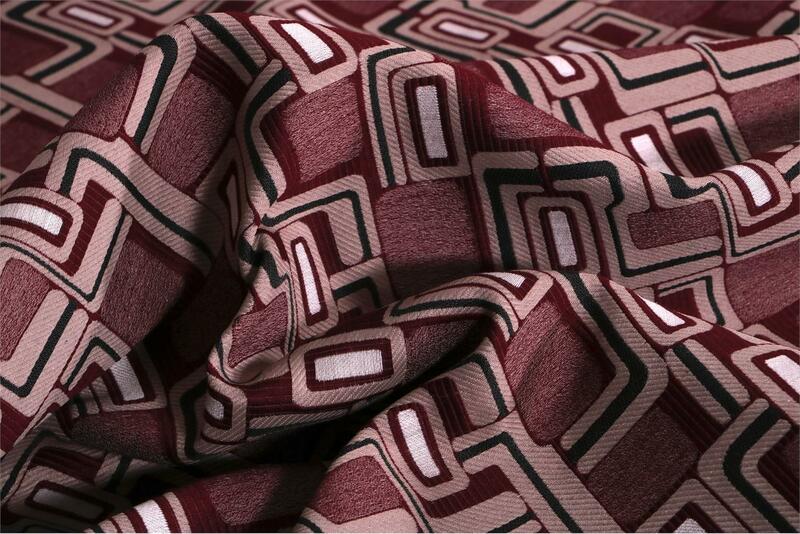 Jacquard fabric with geometric pattern inspired by the 70’s, in burgundy and beige. Suitable for dress and jacket. Beige, Purple, Red Mixed Geometric Jacquard fabric for Dress, Jacket.